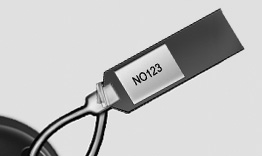 The key code number is stamped on the key code tag attached to the key set. Should you lose your keys, we recommend that you contact an authorized Kia dealer. Remove the key code tag and store it in a safe place. Also, record the code number and keep it in a safe and handy place, but not in the vehicle.